The research is very clear, the more fruits and vegetables you eat, the healthier and longer you live. But why? One clue is because they have color, and that color comes from polyphenols. Polyphenols are the key defense system for plants to fight off microbial invaders. Since we have 10 times more microbes in our gut than our body, it makes sense for us to also have these complex defensive weapons at our disposal by consuming them. Even more importantly, these same polyphenols can interact with our genes to turn on anti-aging genes. In The Mediterranean Zone, I point out that the high levels of polyphenols consumed in the Mediterranean diet is one of the key reasons for its health benefits. As discussed in the book, you need a lot of polyphenols, at least 1,000 mg per day, to begin to get their health benefits. 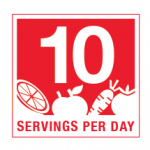 That usually means eating a lot of vegetables and fruits (about 10 servings of vegetables and fruits per day). Of course, white carbohydrates (like grains and starches) such as bread, pizza, pasta, rice and potatoes have few if any polyphenols since they have no color. As a result, diets that are rich in these carbohydrates have virtually nothing to offer for improving ones long-term health. The Zone Diet is concerned not only about the amount of polyphenols consumed, but also the levels of carbohydrates that come with them. So to get the optimal health benefits, what is important is the ratio of polyphenols per gram of carbohydrate in any vegetable or fruit. 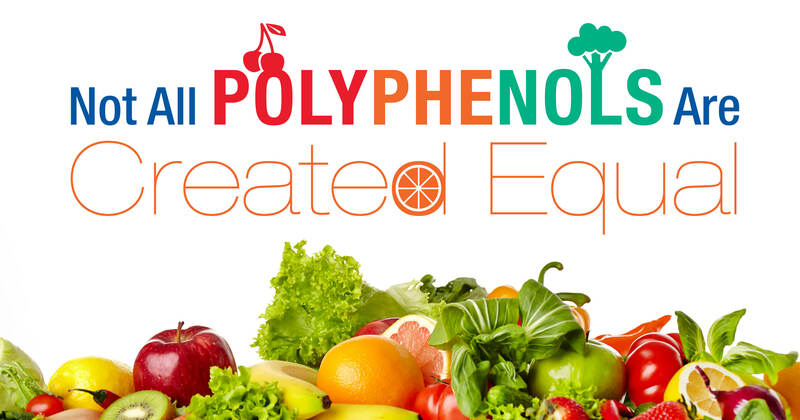 The higher the polyphenol/carbohydrate content, the greater the health benefits. That also means the lower the polyphenol/carbohydrate ratio, the fewer the health benefits. So how do the five most commonly consumed fruits and vegetables in the American diet stack up (considering that most Americans don’t like to eat fruits and vegetables in the first place) in providing the maximum polyphenols with the least amount of accompanying carbohydrates? Using the U.S. Department of Agriculture (USDA) database you can see how many polyphenols Americans are actually consuming per serving. A couple of things are apparent from this table from the USDA. 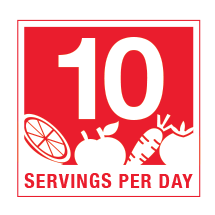 First, a serving size of vegetables is pretty large if you are trying to get 10 servings per day. Second, outside of eating massive amounts of tomatoes and romaine lettuce, you are not getting a very good return on polyphenols consumed without also consuming a lot of carbohydrates at the same time. Fourth, apparently the USDA doesn't realize a tomato is actually a fruit, not a vegetable. So let’s try to do the same for the five most commonly consumed fruits in the American diet according to the USDA. You can see the average American is not getting adequate levels of polyphenols from fruits (unless it is a strawberry) without taking in a lot of carbohydrates at the same time. For the sake of comparison, a serving (1 cup, diced) of white potatoes has a polyphenol per gram of carbohydrate ratio of 10. So what’s the answer to get enough polyphenols to live a longer and better life without over-consuming accompanying carbohydrates? First, eat a lot of vegetables like grilled asparagus and artichokes as Italians do and also add fruits like tomato (even though the USDA classifies it as vegetable) and berries like Italians do. Seems hard (unless you go a lot to Italy), but you have another alternative; the use of purified polyphenol extracts like MaquiRx®. As much as I would like to calculate the polyphenol/carbohydrate ratio of MaquiRx, it contains 120 mg of polyphenols and zero carbohydrates per capsule so you have to divide 120 by zero and that’s a very big number. Bottom line, getting the greatest number of polyphenols with the least amount of carbohydrates is your best health insurance policy possible. That also means MaquiRx represents an excellent dietary return on your investment.